Brew and chill Dilmah Mango & Strawberry Tea. Cut the fresh pineapple into small and thin triangular pieces. Pour honey into a serving glass. Add soaked fresh pineapple fruit into a fancy high ball glass without the juice. 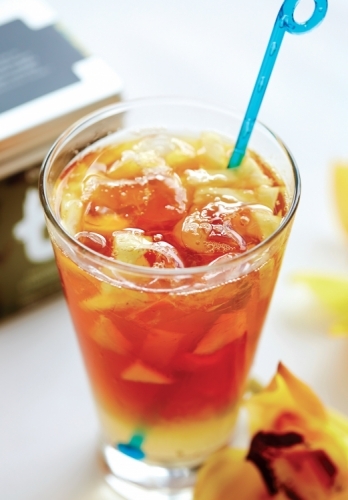 Top up chilled Dilmah Mango & Strawberry Tea. Use only freshly cut pineapple in the glass, both as ingredient and garnish.